Plug-ins are one of the major culprits of self-hosted WordPress websites getting hacked. Older, less secure code used in plug-ins can be exploited to inject malware and other types of code that can exploit your website, server, and even database. In fact, there was recently a WordPress plug-in that was banned from WordPress.org for crypto-mining, a method of using a website’s server processing to mine for digital currency. Here are some ways to avoid having your site hacked through a plug-in. 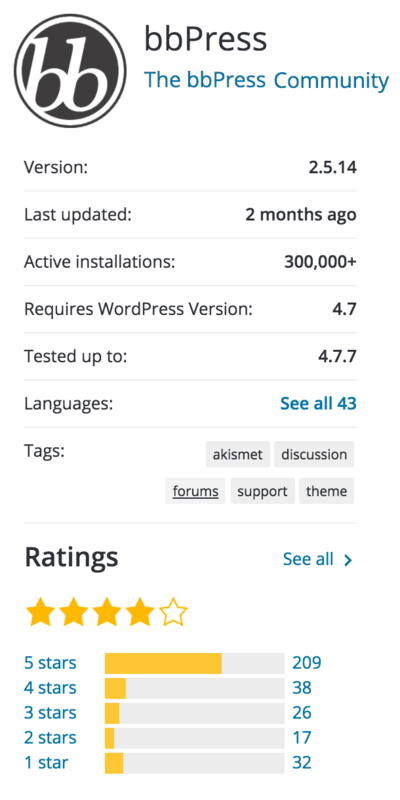 It’s common for a new WordPress website owner, or even seasoned user, to install a bunch of plug-ins to test out. However, those plug-ins and the files associated with those plug-ins that you don’t use should be removed immediately. Don’t put it off until tomorrow! Be weary of new plug-ins or plug-ins without any good reviews or ratings. If a plug-in has a dozen or more 5-star ratings you might assume it’s a decent, well-designed and maintained plug-in. But a plug-in that has bad reviews, bad ratings, or no installs at all might be trouble. You should also look at the number of installations — that will tell you a lot about the state of a plug-in. Plug-ins that have not been updated for a couple years may become lots of trouble in the long run. Try to avoid any plug-ins that don’t seem to have anyone maintaining or updating them. It’s easy to find out, just look for the last time the plug-in was updated. See the pic below for an example of a healthy plug-in. Well-maintained plug-ins (by reputable companies or individuals) will get updates every so often that address security issues or updates to the WordPress system. You should always make backups of your plug-ins and database before installing, but try to update to avoid any possibility of malware.